Passion for community service, more specifically sharing music, arts, social studies, and writing with people that struggle with self expression or that are seeking help in a specific area. Background in music education, special education, and early education. Perform before live audiences and local events. 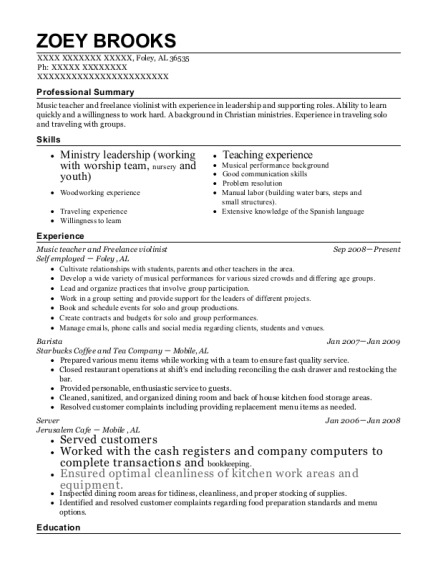 Communicate with employers about repertoire and other event-specific details. Practice musical instrument performances, individually and in rehearsal with other musicians, to master pieces of music and to maintain and improve skills. Select and obtain materials and supplies such as articles and performance pieces. Share information about technique, practicing strategies, various exercises, and musical qualities to students. Keep students informed of performance opportunities through community events. Assist in preparing food and serving meals to children. 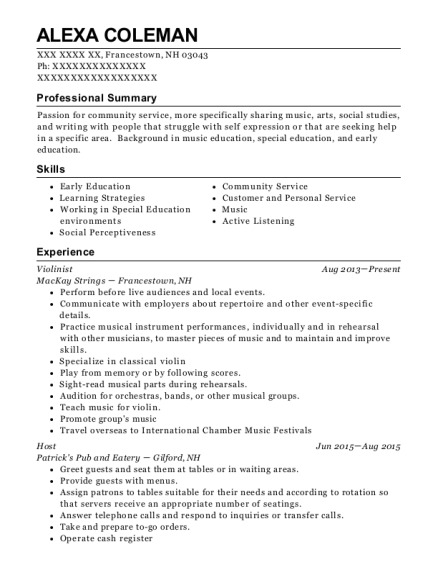 This is a resume for a Violinist in Francestown, New Hampshire with experience working for such companies as MacKay Strings and Patricks Pub and Eatery. 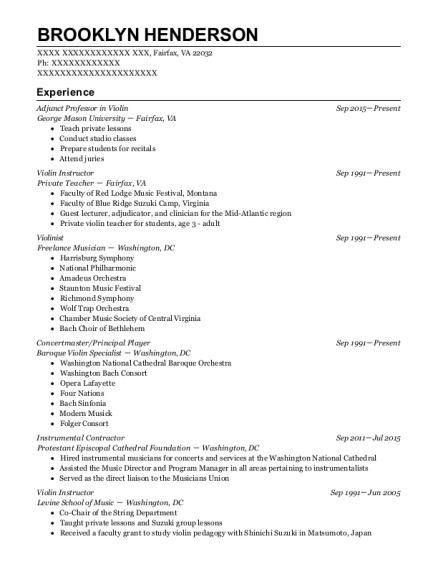 The grade for this resume is 0 and is one of hundreds of Violinist resumes available on our site for free. 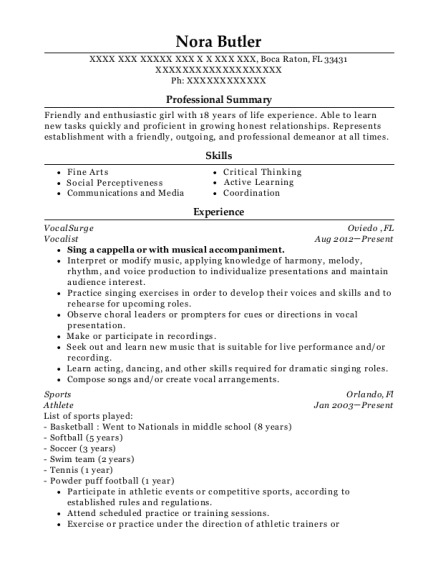 Use these resumes as templates to get help creating the best Violinist resume.